Ilan joined the Social Policy Research Centre in January 2005, becoming Director in July 2007-2011. After graduating in South Africa he started his career as a social worker in the UK. He was for several years Head of Practice Development and Research at the National Society for the Prevention of Cruelty to Children. After spending some time as a civil servant in the Department for Education and Skills he returned to research as Deputy Director of the Policy Research Bureau. 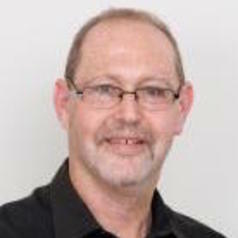 His research interests include evidence based policy, child protection, evaluation of complex programs, parenting, disability, youth justice, Indigenous policy, prevention and family support, children and communities, youth mental health, comparative child welfare systems and migration, race and ethnicity. He has led a number of large scale evaluations of human service programs, both in Australia and internationally. His particular expertise is to link research findings to policy and practice, having worked in all three sectors. Ilan has sat on a number of research bodies and provided advice to governments on child protection issues in Australia and internationally. He is a member of the NSW Child Death Review Team.